If you’re the type of curly girl who likes to DIY your own curl care products, You’re going to love this! For curls that are dry and distressed it can be tough to find definition and hold. This ultra moisturizing cream will help breathe life back into frazzled strands. The best part is that you can make it yourself with ingredients you probably already have! 1 tablespoon of essential oil of your choice, such as tea tree, rosemary, chamomile, or lavender. Soften the Shea butter in the microwave until soft and pliable but not melted. Put in a bowl and add the other ingredients one by one. When selecting which essential oils to add, think about the needs of your curls. If your scalp is itchy or dandruff prone, tea tree would be a good choice. Chamomile can help soothe curls that are overly distressed, while lavender has a gentle, calming scent. Use a hand mixer or stand mixer to blend thoroughly after each ingredient has been added. Whip until the mixture is light and fluffy. Scoop into a sealable container like a mason jar for storage. After you’ve washed and conditioned your curls, blot away excess water using a microfiber towel or a T-shirt. Curls should be wet but not completely saturated. Apply the product throughout your curls, scrunching in an upward motion to ensure all the curls are covered and defined. Allow curls to air dry or diffuse for well hydrated, shiny, and defined curls. 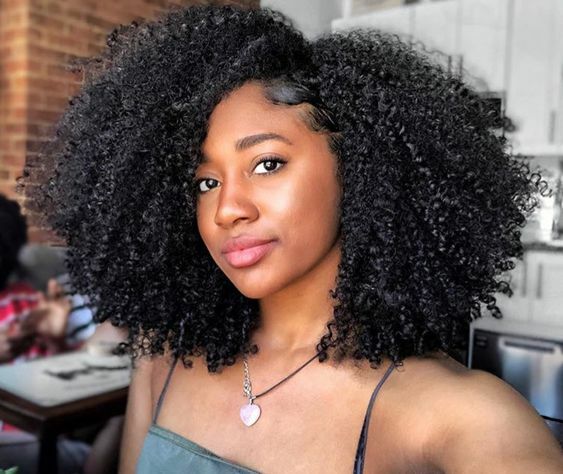 Have you tried any DIY curl care products? If so, let us know how it went for you and what you'd recommend to your fellow curly girls!